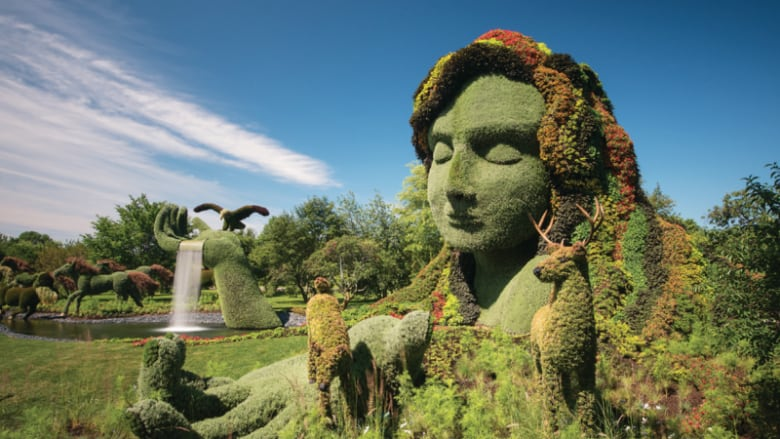 The immensely popular MosaïCanada horticultural exhibit could be returning to Gatineau next year. Gatineau city councillors will vote Tuesday on whether to extend the popular MosaïCanada horticultural exhibit into 2018. City councillors are set to discuss a resolution Tuesday to set aside money to bring the Canada 150 event back to Jacques-Cartier Park. MosaïCanada ran from June 30 to Oct. 15, 2017, and featured some 40 towering horticultural arrangements. It received special funding due to its inclusion in the Canada 150 lineup of events — funding that will not be available in 2018. Its return has previously been in doubt over questions of where another year of funding might come from. If Tuesday's resolution is passed, Gatineau would set aside $2 million to fund the continuation of the event. More than 1.3 million people visited in 2017, far surpassing the 800,000 visitors organizers had originally anticipated.